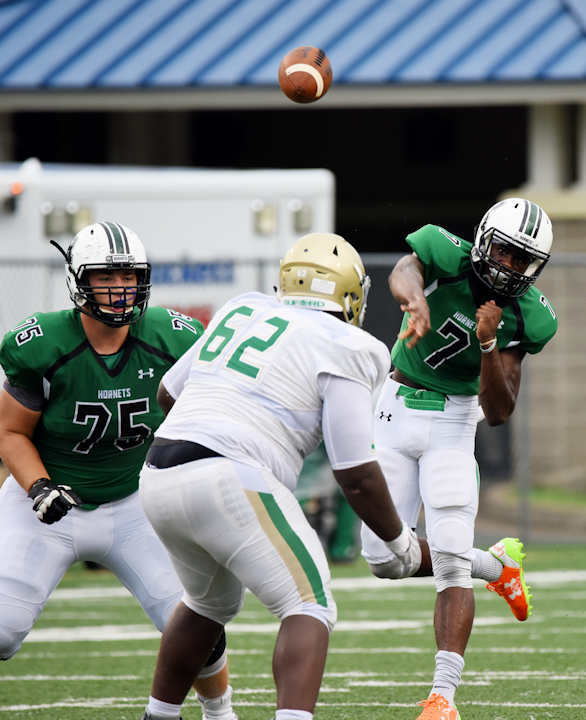 POWDER SPRINGS— The Hornets pulled off a victory against Buford High School on Aug. 19 in a matchup at the Corky Kell Classic, hosted by McEachern High School. 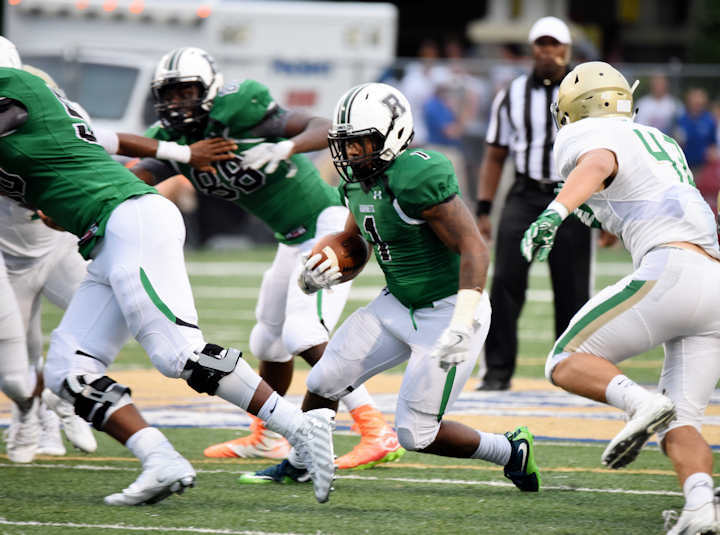 Both Roswell and Buford have the distinction of being state runners-up last season, Roswell in Class AAAAAA and Buford in the Class AAAA. Friday’s game also marked the first meeting between these two teams in over three decades. Having been defeated 34-10 last time around in 1983, Friday’s outcome was much more favorable to the Hornets, who were able to hold their opponent to a single touchdown for the second time this season. And also just like last week, the Hornets managed to score in the opening seconds of the game, as senior Xavier McKinney returned the kickoff from the 9-yard line for a touchdown. 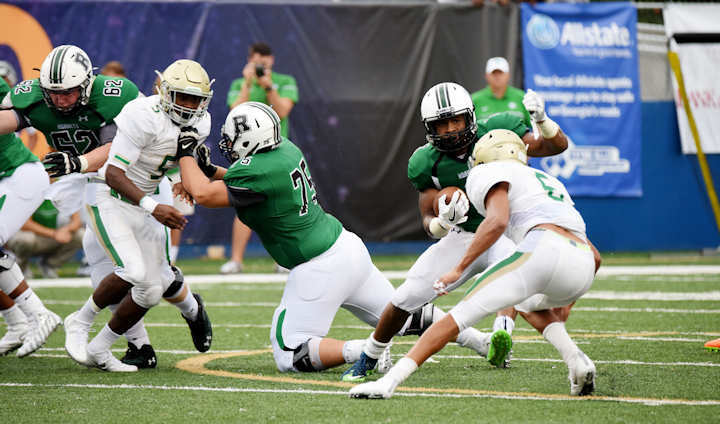 A series of scoreless drives and three penalty flags against the Hornets in the first quarter seemed to sap some of Roswell’s early momentum, as Buford leveled out the score with a touchdown of their own late in the first quarter. 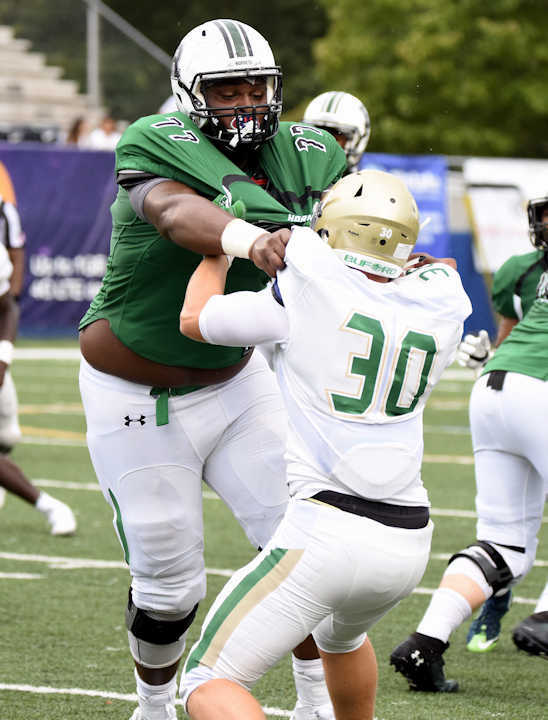 However, the Roswell defense was able to shut Buford down from there, keeping the Wolves scoreless for the rest of the game. 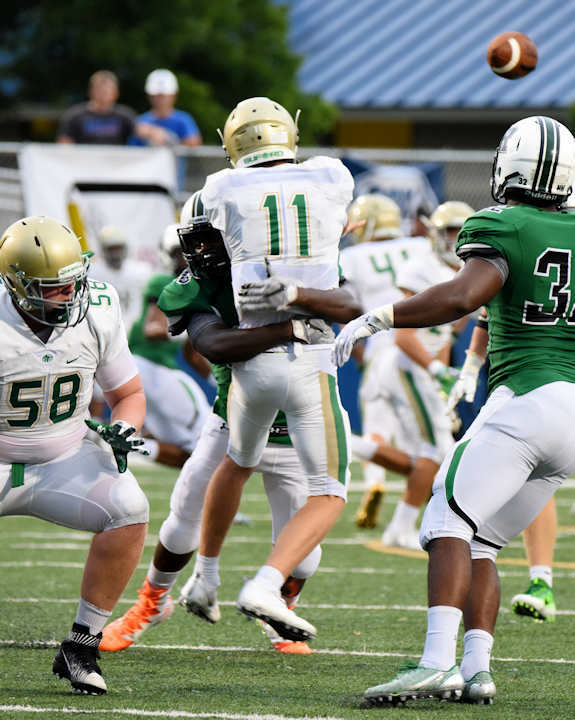 The Hornets’ defense was led by senior outside linebackers Justin Ellis and Sam DiRoberto, who kept the pressure on the Buford offense, most notably with an Ellis sack for a loss of an incredible 11 yards in the second quarter. 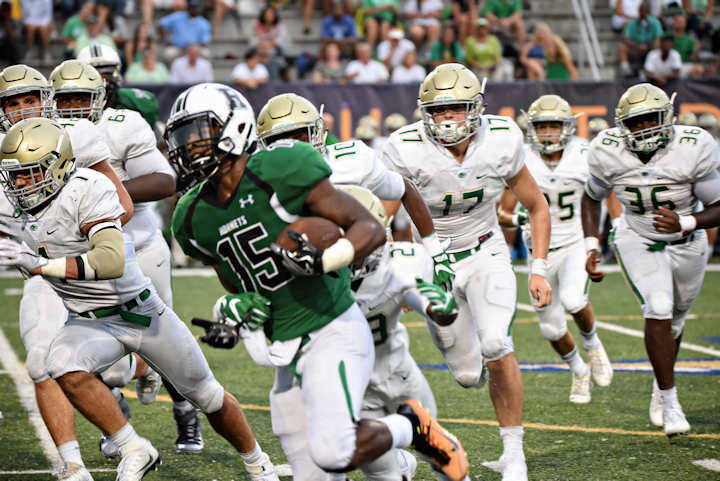 Roswell was able to score once more before the half, with senior wide receiver Jayden Comma catching a 24-yard pass from senior signal-caller Malik Willis for the touchdown. 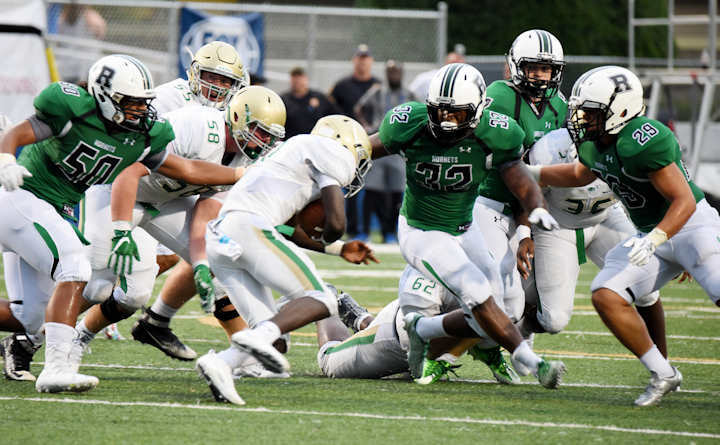 Roswell further widened the score in the third quarter when senior running back Sheldon Evans ran the ball in from 13 yards out for Roswell’s final touchdown of the game. 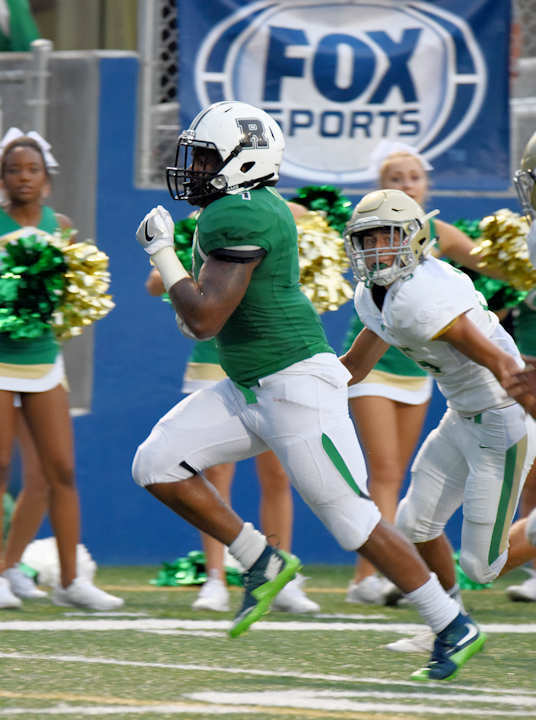 Evans appeared to be well on his way to a second touchdown on Roswell’s next drive with a big 21-yard run that brought the ball into Buford territory. He followed that up later with an 18-yard run into the endzone. 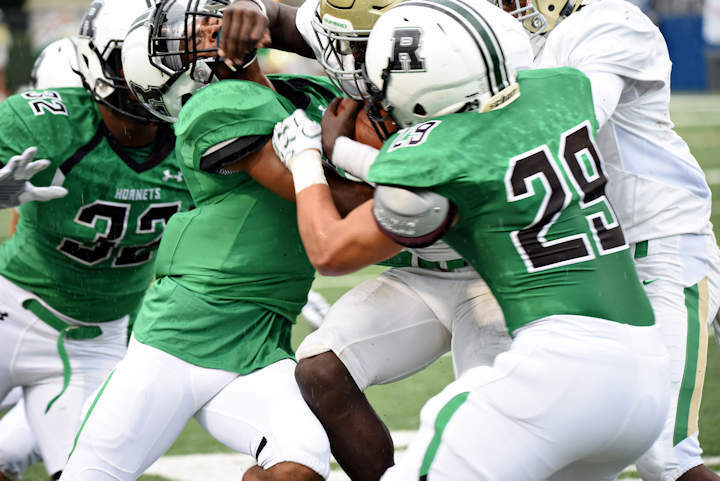 A holding penalty against the Hornets, though, brought Roswell back to the 24-yard line. 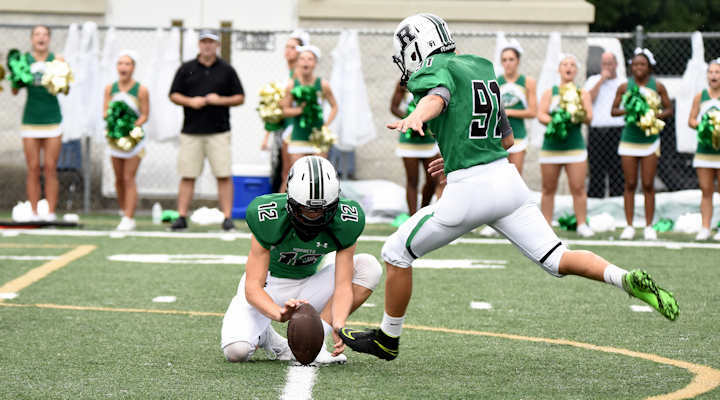 Unable to make it into the endzone a second time, the team turned to senior kicker Turner Barckhoff, who nailed a 43-yard field goal to put the Hornets up 24-7. A scoreless fourth quarter rounded out the game.